Israeli Occupation Forces (IOF) arrested at dawn Monday nine Palestinians after storming different locations in the West Bank including a disabled citizen in Jenin. The website of Israeli Channel Seven TV revealed that Israeli army rounded up nine "wanted" Palestinians including six youths for the claim of involvement in anti-occupation actions and stabbing operations in recent days. 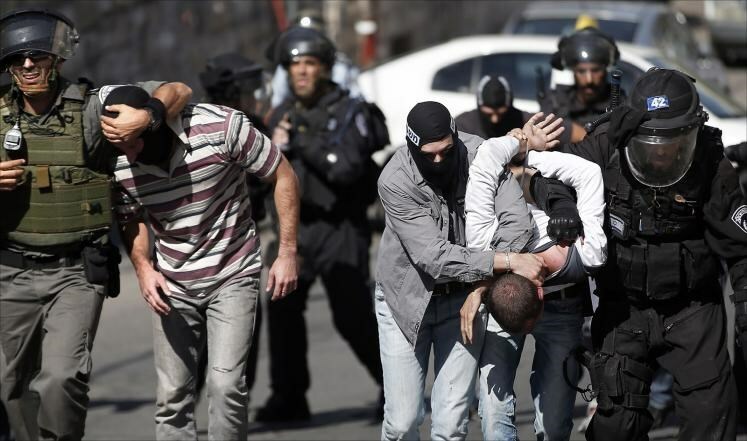 The Israeli website stated that the arrests took place in Nablus, Tulkarem, Jenin and al-Khalil governorates in the West Bank. Palestinian security sources revealed that the Israeli forces stormed cities and villages of the West Bank and broke into Palestinians’ houses especially those of the martyrs. They searched the houses, wreaked havoc in them, and threatened to demolish them. Israeli soldiers closed all of the bypass entrances of al-Fuwar refugee camp in al-Khalil, continued the closure of the main iron gate of the camp, erected military barriers at the main entrances of al-Khalil city, and assaulted Palestinians, media sources pointed out. The sources highlighted that the IOF soldiers broke into three martyrs’ homes in Nablus city including the martyr girl Ashraqat Qatanani. The forces threatened her father of razing his house in case he did not stop incitement against them, the sources pointed out. The IOF soldiers also handed the father a summons order for his 17-year-old son, Yasin, to be questioned by the Israeli intelligence in Howarah camp. The wife of the Palestinian prisoner Nael al-Barghouti said on Monday that the Israeli Occupation Authority (IOA) banned her from visiting her husband despite possessing a visitation permit. The IOA claimed lack of coordination with the management of Negev prison. 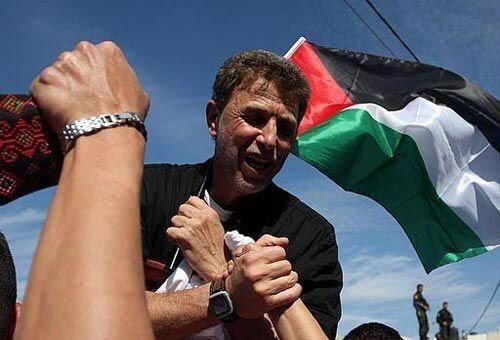 Barghouti is the oldest-serving prisoner of the Palestinian captives in Israeli jails. He spent a total of 36 years including 34 consecutive years in jail. He was released in the Wafaa al-Ahrar swap deal in 2011 then rearrested mid of 2014 and sentenced to 30 months. Palestinian Prisoner Society underlined that the IOA escalated its policy of banning Palestinian families from visiting their relatives during 2014 and 2015 especially after imposing collective punishments on Palestinian detainees last June and July. The Palestinian Prisoners’ Society (PPS) has reported that Israeli soldiers have kidnapped, late on Sunday and earlier on Monday, 16 Palestinians in different parts of the West Bank, including a child in Jerusalem. The PPS said the soldiers invaded the towns of Sa’ir and Bani Neim, the al-Fawwar refugee camp, and several other areas in the southern West Bank district of Hebron, and kidnapped ten Palestinians. The soldiers kidnapped Yazan Emad ath-Thieba, 19, from his family home in the al-Fawwar refugee camp, after searching it, and Suleiman Turki al-Adra, 20, from his home in Bani Neim town, after the soldiers confiscated two cars belonging to his family. The PPS stated that the soldiers also kidnapped Noureddin Aref at-Tarda, 18, Mahmoud Khalil Hdeib, 19, Yousef al-Asmar Jabarin, Mahmoud Hamdi Abu Mariya, 42, Ahmad Issa Sleibi, 19, Khdeir Yousef Awad, 19, Mohammad Yousef Bahar, 20, and Shehab Yousef ‘Aadi, 20. The army also invaded the northern West Bank city of Jenin, stormed and searched many homes, and kidnapped a former political prisoner and a psychically-challenged Palestinian, identified as Adnan Yassin Hamarsha, 48, in addition to Ala Yassin Hamarsha, 22, and Oweis Mazen Nawahda, 22. In addition, the soldiers kidnapped Rabah Abdul-Fattah Labdi, 29, from Zeta village, in Tulkarem district, while resident Baha’ Abdul-Haq was kidnapped from Nablus, both in the northern part of the West Bank. 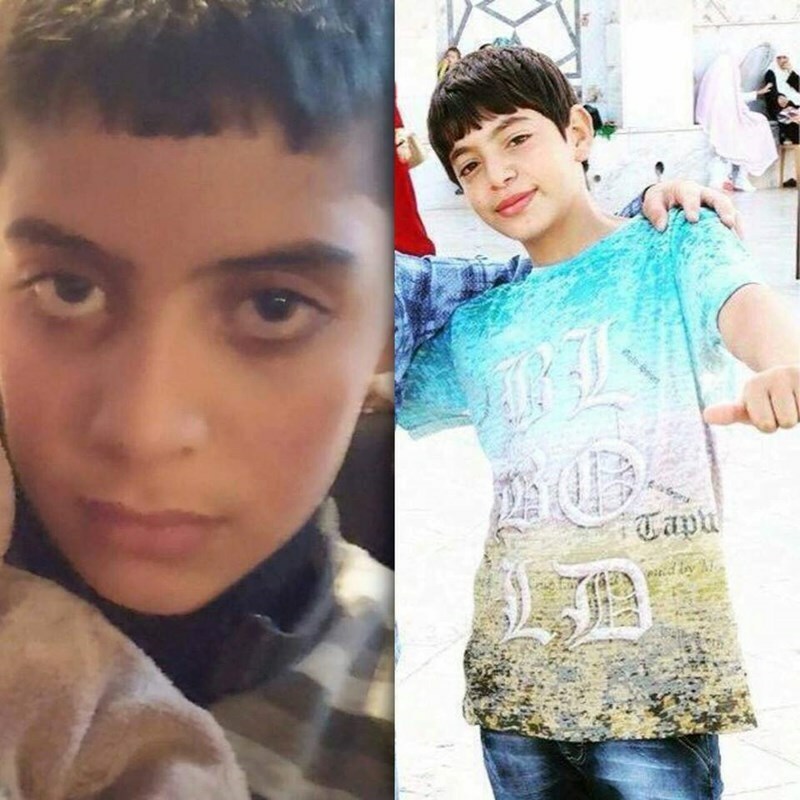 In occupied Jerusalem, the soldiers kidnapped a child, identified as Mohammad al-Bayya’, 14, near the main entrance of the Shu’fat refugee camp. In related news, colonialist Israeli settlers wrote graffiti on a Palestinian car in Khirbit Beit Skariyya village, completely surrounded and isolated by the Gush Etzion settlement block, south of Bethlehem. Head of the Village Council Mohammad Atallah told the WAFA Palestinian News Agency that the settlers wrote, “Death To Arabs” on the car, in addition to puncturing its tires, while others raised Israeli flags on trees belonging to Shahin and Abu Swai families in the same area. Attallah added that the residents face frequent assaults by the settlers in an attempt to force them out of their lands, to illegally annex them to the Gush Etzion Settlement Bloc. The Israeli occupation forces (IOF) at dawn Monday kidnapped three Hamas activists from Jenin city after they aggressively attacked their families. A PIC news reporter quoted eyewitnesses as stating that over 20 army jeeps stormed Jenin’s southern town of Yabad and ravaged the family home of the wheel-chaired Hamas leader Adnan Hamarsha. Hamarsha, 50, was confined to a wheelchair after suffering from a stroke and was released only a few months ago from the occupation jails. The same sources added that the IOF kidnapped Adnan’s brother Alaa following the same break-in. The IOF further stormed Jenin’s western town of Yamon and arrested the student activist Uweis Nawahda after they wreaked havoc on his family home. The Israeli occupation soldiers reportedly stormed the family homes of a number of Nawahda’s relatives as well. Dozens of Palestinian citizens and families participated on Sunday in a protest sit-in outside Israel's district court of Jerusalem where the children, Ali Ihab, 11, and his cousin Muawiyah Ahmed, 13, were standing trial. The sit-in was attended by the parents of the two children as well as the mother of slain child Mohamed Abu Khudair, who was burned alive last year by Jewish settlers in Jerusalem. The participants carried banners with the names of the two detained children and others martyred during the current intifada (uprising). Inside the courtroom, the Israeli prosecutor submitted an indictment accusing Muawiyah of attempting to carry out a stabbing attack in Pisgat Ze'ev settlement, north of Jerusalem, with the help of his cousin Ali. However, the judge postponed the trial of the kids until the first of December 2016. Israel has recently escalated its use of solitary confinement as a means to blackmail Palestinian children from Jerusalem into making certain confessions, according to the Palestinian Prisoner Society (PPS). The society said that Israel's police and intelligence (Shin Bet) apparatuses locked up a number of children in isolation cells and rooms without referring them to courts and prevented their lawyers and families from meeting them in order to pressure them to make confessions in exchange for improving their prison conditions. Most of the children are accused of throwing stones, Molotov cocktails or firecrackers at Israeli soldiers and settlers, the society noted. The PPS affirmed that the exposure of children to such blackmail and pressure made some of them confess to offenses they did not commit, yet their jailers have not ended their solitary confinement. 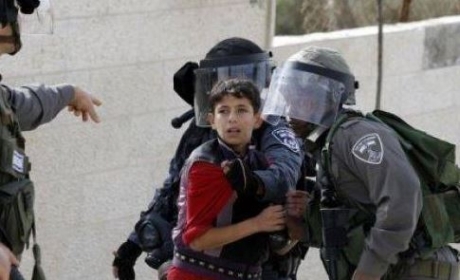 Since early October, the Israeli security and military forces had kidnapped and detained 800 Palestinian children from different areas of the West Bank and Jerusalem, and now there are still about 400 of them in prisons. The Israeli Occupation Forces (IOF) stormed Monday morning two martyrs’ homes in Nablus, north of the West Bank, and carried out a number of arrests in the city. Eyewitnesses told the PIC reporter that IOF violently stormed and searched the houses of the two martyrs Alaa Hashash and Ashraqet Qanani. The martyrs’ family members were investigated during the raid, the sources added. "The Israeli soldiers threatened to demolish our house in the coming days", Qanani’s father said. Meanwhile, Hashash’s family said that Israeli forces informed them of their intention to release their son’s body within two days. 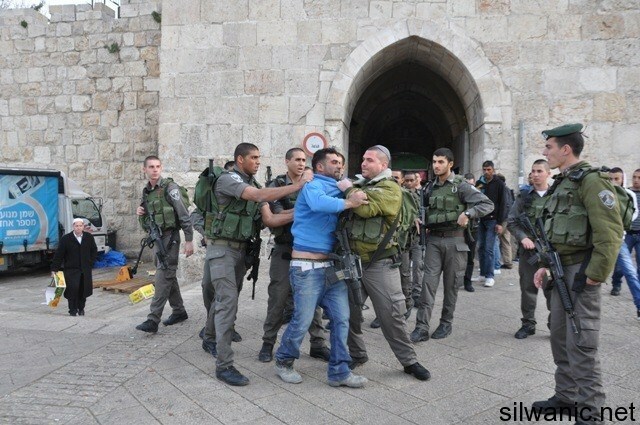 During the raid, IOF arrested three youths from the city and took them to unknown detention center. 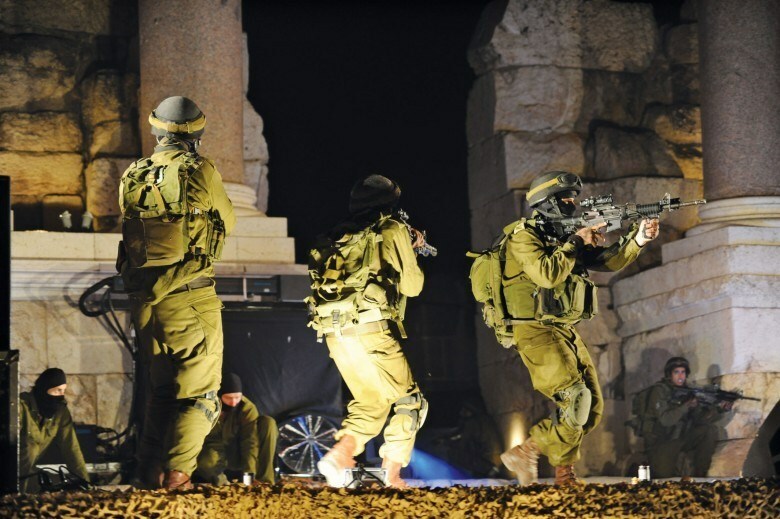 On the other hand, Israeli forces carried out a similar raid campaign throughout al-Khalil city, south of West Bank. Several local youths were arrested while a number of checkpoints were erected during the campaign. Four youths were detained in Beit Ummar town, while several Palestinian vehicles were stopped and searched at a make-shift checkpoint at the entrance to Samu town. IOF soldiers have also closed the entrance to Fawar refugee camp with cement blocks, forcing the local residents to use alternative roads. Also in al-Khalil, Israeli forces were deployed near a local secondary school in the Old City and opened fire at its students. At least one student was injured in his foot. Tension has been running high in the Israeli occupation jails of Eshel and Ramon due to the mistreatment Palestinian inmates have been subjected to, the Prisoners’ and ex-Prisoners Committee reported Sunday. The prisoners’ committee said in a statement that the prisoners had warned that they would step up protest moves in response to the mistreatment they have been made to endure at the Eshel lock-up. 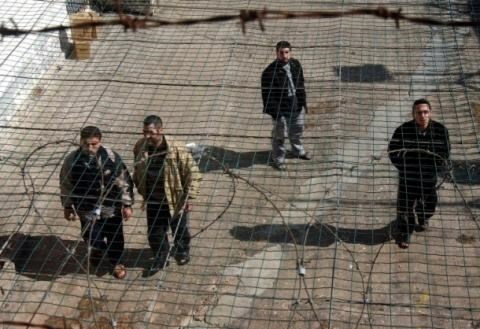 The prisoners further spoke out against the arbitrary inter-prisoner transfers and preplanned medical neglect on the part of the Israeli prison service (IPS). 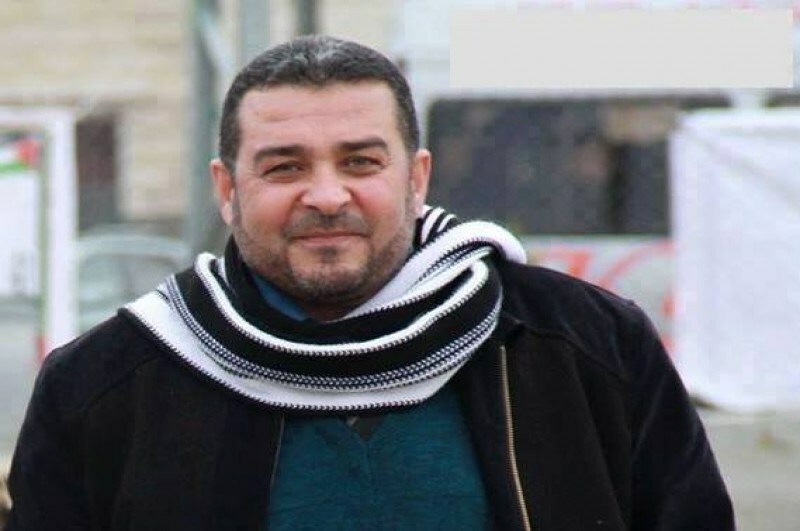 The committee quoted prisoner Salim Al-Ja’ba as announcing his decision to go on an open-ended hunger strike starting on Monday to push for his transfer from Meggido to the Ramon jail. A state of tension prevailed at the Ramon lock-up after the IPS broke into Section 1 and banned movement and communication between prison sections. The detainees voiced their firm condemnation of such arbitrary practices, vowing to initiate a series of protest moves to restore their usurped rights. A number of Palestinians choked on tear gas on Sunday evening in clashes with the Israeli occupation forces (IOF) in al-Khalil’s northern town of Beit Ummar, in the southern West Bank. A PIC news reporter said violent clashes flared up in Beit Ummar, where the IOF attacked the Palestinian protesters with tear gas canisters and stun grenades. Several Palestinians sustained critical breathing disorders due to heavy inhalation of tear gas. Meanwhile, two Palestinian youths were aggressively assaulted and kidnapped by the occupation troops near Beit Ummar’s main entrance. 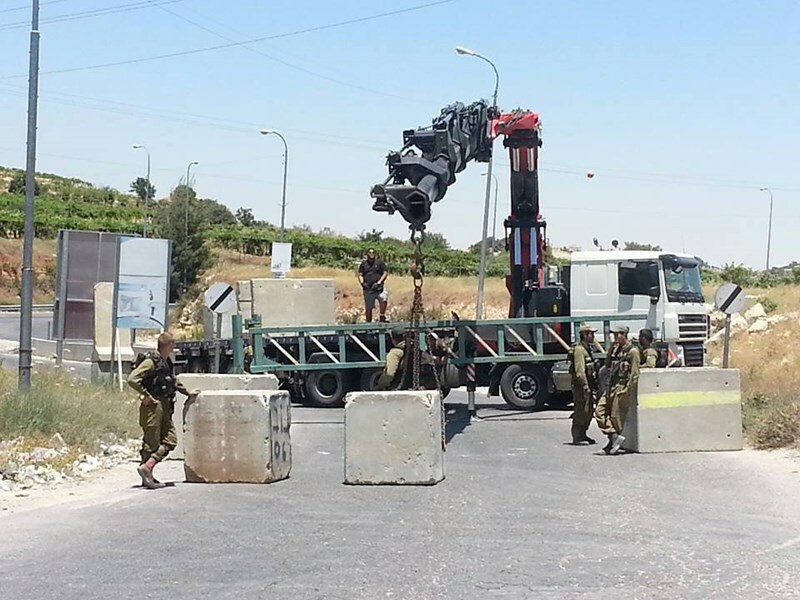 The IOF has tightened military grip around the area, sealing off all of its main entrances with concrete roadblocks. A military checkpoint was also pitched by the IOF on al-Khalil’s main access road known as al-Joura entrance, where Palestinian vehicles and passers-by had been subjected to exhaustive inspection. Another military checkpoint was set up on the main entrance to al-Khalil’s southern area known as Wadi al-Jouz. A traffic congestion cropped up after dozens of Palestinian vehicles and passers-by lined up in long queues for inspection and interrogation by the IOF. All of the other main entrances to the city have reportedly been sealed off with cement blocks as part of Israeli intents to crack down on the Palestinian citizens and quell anti-occupation activism in the area. The Israeli occupation police on Sunday evening kidnapped a young man, with no known reason, in the Old City of Jerusalem and took him to an interrogation center in Salahuddin street. Local sources said that policemen stopped the young man in Bab Hitta neighborhood in the Old City and rounded him up after searching him and checking his ID card. They added that the Israeli police intensified their presence in and around the Old City and the Aqsa Mosque following two stabbing attacks in the morning in Jerusalem and embarked on searching Palestinian passersby, especially the young men. 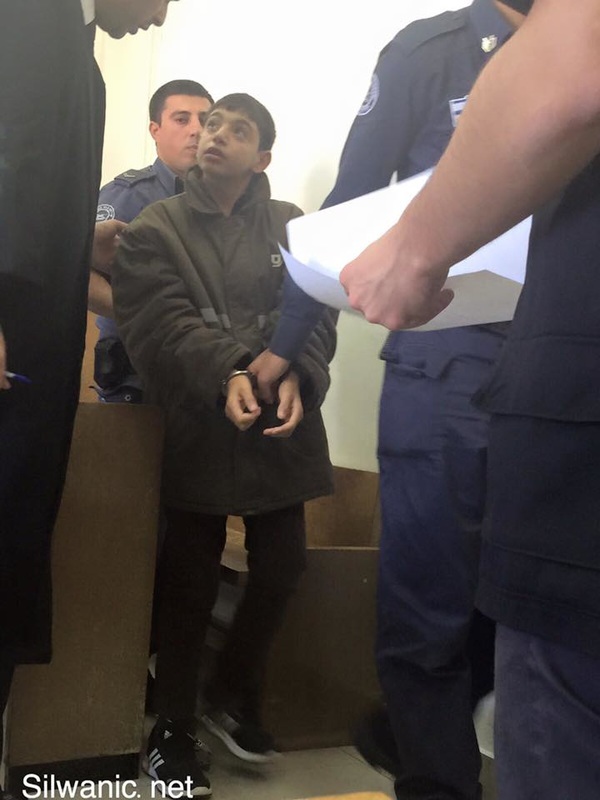 A 13-year old Palestinian boy accused of stabbing and wounding a 13-year old Israeli boy had a court appearance Thursday. On October 11th, Ahmad Manasra was run over by a car and beaten nearly to death by a group of Israelis, then subjected to brutal interrogation with no lawyer or parent present. Ahmad Manasra's lawyer presented evidence contradicting the Israeli government's claims that the boy stabbed an Israeli. The boy himself has no memory of carrying out the attack, and no eyewitnesses have linked him directly to the attack. Video footage of the stabbing of the 13-year old Israeli boy being stabbed on his bicycle does not show the assailant. A 20-year old Israeli was also wounded in the attack. A video of Ahmad lying injured and bloody on the ground after being hit by the car was uploaded to social media and went viral. In the footage, a settler onlooker can clearly be heard saying: "Die, you son of a whore! Die! ", while another tells the police officer to shoot the boy until he dies. Ahmad's 15-year-old cousin, Hassan, was with Ahmad near the site of the stabbing attack when the two boys were assaulted by Israeli soldiers and settlers. Hassan was shot dead on site by Israeli occupation forces, while Ahmad was run over by an Israeli settler car and seriously wounded. Ahmad says he has no memory of the attack, saying said he woke up next to find himself tied to a hospital bed, under police guard, who reportedly abused him physically and verbally throughout his stay at the hospital. He said the guards kicked him and allowed an Israeli civilian to verbally assault him. Manasra said he couldn't eat because his right hand was tied to the bed, adding that he was not allowed to use the bathroom and was forced to urinate in a bottle. He said that he was subjected to long hours of interrogation - with investigators assaulting him - while on his hospital bed, which further aggravated his excruciating pain. On October 20, Manasra was transferred to jail, where he was also subjected to long hours of interrogation and verbal assault, while being strapped down to a chair by his hands and feet. In a ten-minute video showing a part of Manasra's interrogation, the boy is shown crying while interrogators yell at him. Again and again the 13-year old repeats that he does not know about the attack, that he does not remember anything. He begs the men to "take me to a doctor to see if I remember." The video was widely criticized by human rights organizations, but the Israeli Shin Bet service defended their use of harsh interrogation against the boy. Following the court appearance this week, the Israeli court decided to delay the proceeding until January, when Ahmad turns 14 and will be allowed to be charged as an adult under the Israeli court system.